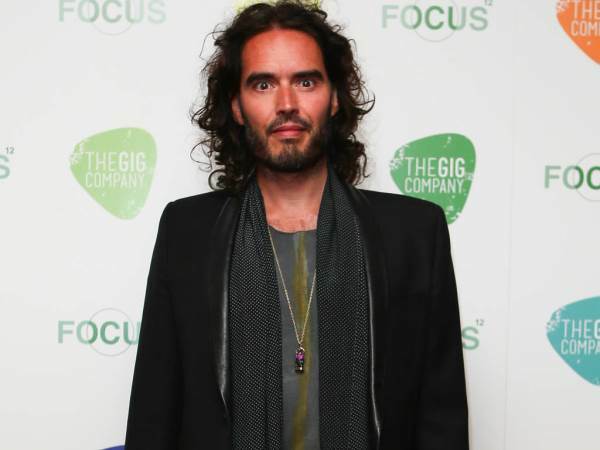 Is Russell Brand a DAD? Russell Brand and his fiancee have reportedly welcomed their first child together. The comedian reportedly told the audience at his Russell Brand EXPOSED at the Nottingham Playhouse in England that his fiancee Laura Gallacher had given birth, but didn't give details, according to one fan. "He didn't confirm if it was a girl or a boy," Daniel Crann (29) told Mirror.co.uk. "He was conscious of the clock and made sure he was off stage by just approaching 9pm as he 'needed to get down the f**king M21 as my girlfriend has just had a baby.'" Other fans congratulated him on the birth of his "little girl" on Twitter, and another source told the website they welcomed the newborn last week. Representatives for the couple have yet to respond to WENN's requests for a comment. It was first reported Laura was pregnant in May but Russell didn't confirm it until July when he posted a wide-eyed snap of himself on Instagram showing him reading The Expectant Dad’s Handbook, by Dean Beaumont. "Right then. My Mum bought me this. Time to get ready!" he wrote in the caption. The 41-year-old, who was previously married to Katy Perry, reportedly popped the question to Laura (27) in June. They had dated before in 2007 and 2009 and got back together last year on a romantic holiday to Rome, Italy. During an appearance on Britain's The Jonathan Ross Show last month, Russell spoke about his preparations for impending fatherhood, such as reading up on books and painting the child's room. “I read a different book every week and I read one on preparation for fatherhood to mentally prepare me for it," he explains. "I don’t know that it has prepared me for it. I’ve painted the room, I’ve done the things that you’re supposed to do, I’ve accepted the idea that that person will be more important than me." He also revealed he was uncertain whether he will impose a gender on the child and will just let them decide what to be.